Iconic Marcel Breuer gallery re-opens today to showcase Metropolitan Museum's contemporary art Archi-new - Free Dwg file Blocks Cad autocad architecture. Archi-new 3D Dwg - Free Dwg file Blocks Cad autocad architecture. New York’s iconic Met Breuer building re-opens today (18 March) following a period of renovation to recreate Hungarian architect Marcel Breuer’s original vision for the structure – which will house some of the world’s finest modern and contemporary art works. 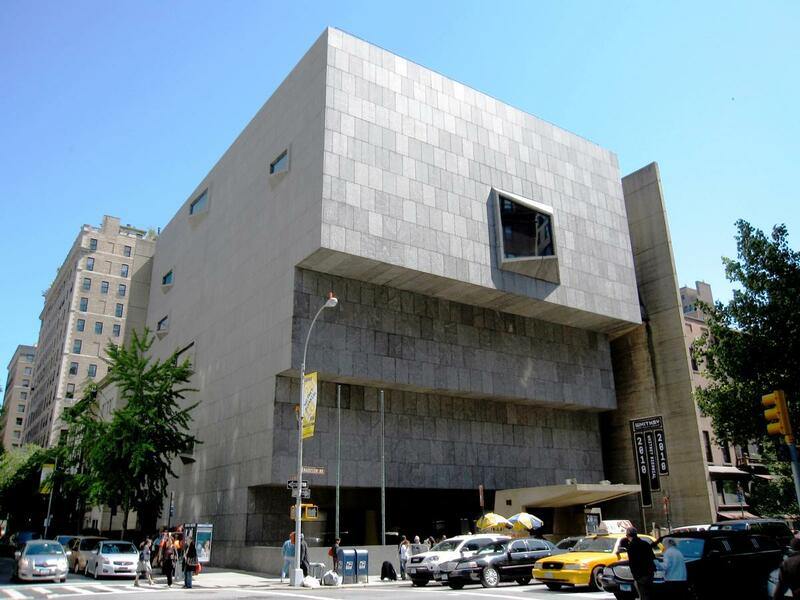 The building first opened in 1966 to display the collection of the Whitney Museum of American Art. However, following the Whitney’s 2015 move to its new Renzo Piano-designed home in downtown Manhattan, the Metropolitan Museum of Art reached a collaborative agreement to present programming in the Met Breuer for the next eight years. As part of the agreement, New York studio Beyer Blinder Belle Architects & Planners were commissioned to restore the five-storey, 82,000sq ft (7,600sq m) site – bringing back Breuer’s original finishes, such as bluestone and parquet floors, bronze fixtures and the museum’s famous lobby lighting. Interventions made to the building after 1966 have been removed entirely, while a number of new design features have been added “to support a fluid, integrated visitor experience of art and architecture.” The building’s infrastructure has been upgraded and landscape architect Günther Vogt has designed a new planting installation to realise Breuer’s original plan for a sunken garden. The inaugural exhibitions of the new Met Breuer will be a major cross-departmental curatorial initiative, called Unfinished: Thoughts Left Visible, which includes works by a range of artists from Titian to Louise Bourgeois; and the largest exhibition to date dedicated to Indian modernist Nasreen Mohamedi. In addition to its gallery space, the museum also features a cafe, book shop and pop-up stores selling merchandise. A new restaurant called the Estela Breuer will open later this year under the management of restaurateur Thomas Carter and chef Ignacio Mattos.